He reiterated that 'police engagements' are done in a very professional manner, taking into account human rights issues. The top cop said at least 63 such criminals have been killed in police encounters since the Yogi Adityanath-led government took charge of the state in March last year, even as four policemen have been killed and over 500 people were injured in these operations that took place in various districts. "Encounters are part of crime prevention. The fact is that this is a not a state policy, but a police strategy. We do not call it encounter but police engagement. We are engaged with the criminals in a very professional and strategic manner. "There have been about 62-63 police engagements in which the criminals have been killed but rest of them have resulted in either arrest or apprehension," Mr Singh told PTI during a recent visit to the national capital. The director general of UP police said criminals who have been engaged by the state police in encounters "are either wanted criminals or the ones who have been at large for a long time and have indulged in heinous crimes." The target for my force is very clear -- hardened criminals such as these have to be "arrested at any cost", Mr Singh said. "If the criminal fires on the police team, then we are left with no option but to retaliate. In this strategic process, they (criminals) get killed. This (encounter) is as per requirement of the law," the DGP said. When asked if the police force was looking at registering big numbers vis-a-vis encounters, Singh said, "We have never gone in for quantity but always for quality." "In all cases where criminals have been killed, we have gone in for magisterial inquiry. We have sent reports to the National Human Rights Commission (NHRC) and these cases are being scrutinised by the judicial process so that nobody can say these are fake encounters. "How do you expect my men and the police team on the spot to react when they are fired at? We have also been the victims of these operations," he said. Stating that he has not fixed any targets or accorded priorities as far as 'encounters' are concerned, the DGP asserted that ensuring good law and order in the large state has been his only direction to his men. Due to police action, there have been a good number of criminals surrendering in various parts of the state, he said. 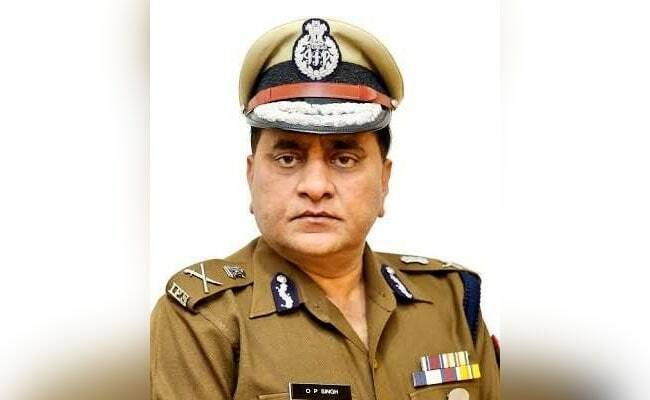 The 1983-batch IPS officer was appointed the UP police boss in January this year, while he was serving as the DG of the Central Industrial Security Force here, under the command of the Union home ministry.